I put off using this challenge because of the spelling of the plural of the word ROOF. When I was a girl back in England, the plural of roof was rooves. Nowadays, whilst still being correct, it seems that rooves is considered archaic, with the preference being for roofs. Whatever next?! Anyway, however you say it, or spell it in your part of the world, the CBBH Challenge for February is the plural of the word ROOF! We have some very pretty, and sturdy rooves in Spain. 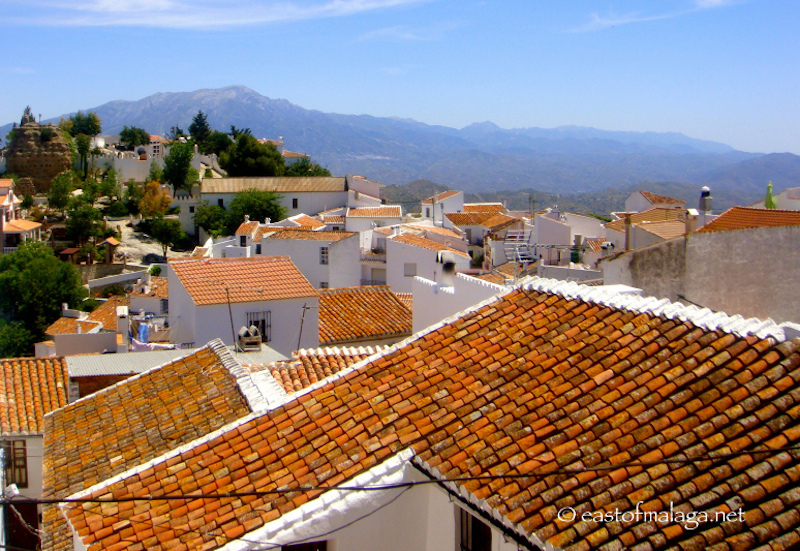 You might remember that this is the view from the top of the village of Comares, looking across the rooftops. 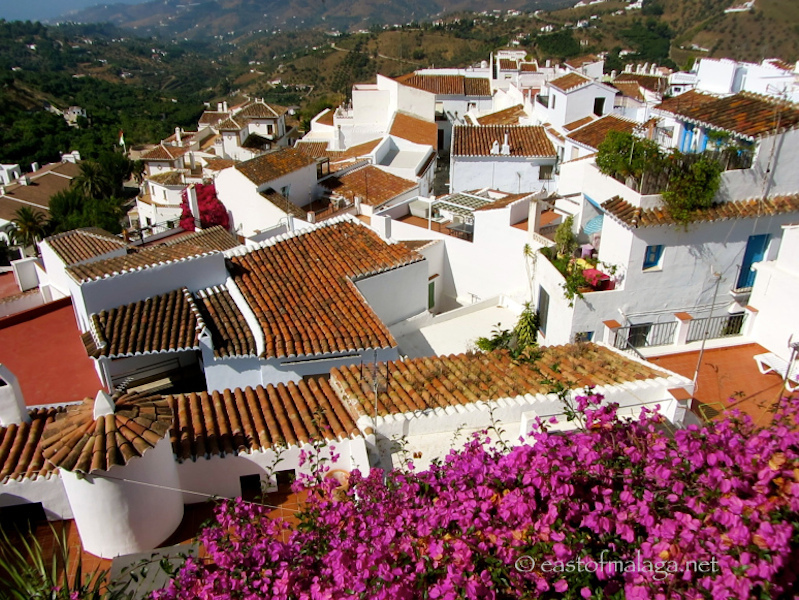 And here is the view across the rooftops of Frigiliana, with a photo taken from Calle Alta, the highest street in the village. It’s a fabulous view! *** Dianne Gray is an Australian author and self-professed mosquito magnet, currently living in Queensland, Australia. Last year Dianne moved a derelict former Rugby Union club-house building to her farm and has transformed it. I don’t know where she finds the energy! OH … and if you ever wondered how cyclones or hurricanes are named – this is the woman to ask. *** Every week I get messages from people (often in the US) asking about obtaining residency visas, taxes or healthcare. Because I am English and originally lived in the UK, it was a relatively simple process for me to move to live in Spain, because I already lived within the European Union. The Wagoner’s Abroad however, are an American family of four, currently living down the road, in the Spanish town of Almuñecar. They’ve been through the process, and are in a much better position than I to tell you all about the lessons they’ve learned. 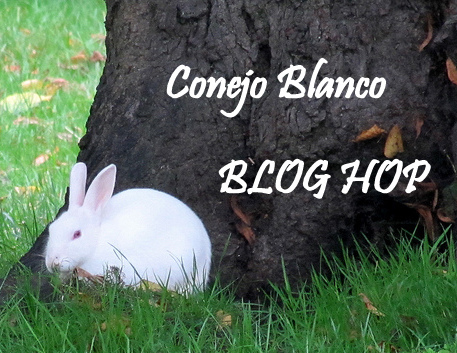 So that´s the CBBH Photo Challenge for February, guys. PS: DO LET ME KNOW WHAT YOU CALL MORE THAN ONE ROOF, WONT YOU? This entry was tagged Andalucía, CBBH Photo Challenge, East of Malaga, Europe, Malaga, photography, Spain, weekly image of life, white villages. Bookmark the permalink. Well, Marianne, I always spelled it “rooves”, but my handy-dandy spellcheck disapproves these days… My advice is to keep spelling it the way you like it and let the readers figure it out! Chuckle… “Roofs” looks as wrong to me as “wifes” or “lifes”, but I’m a little archaic myself. The photographs are wonderful. The white and the gorgeous golden tones of the rooftops are lovely. I finally posted my rooftops, Marianne. I always look forward to your photography challenge posts. The plural of roof for people old enough to read the Oxford Dictionary of the English Language, in fact old enough to know that the real Napoleon was not Dynamite or a brandy. Hoi polloi live under roofs and civilized men live under rooves. Growing up with the Miriam-Webster Dictionary, I would say roofs or rooftops. I love your entry, Marianne. The tile and color patterns make for an artistic study of roofs…rooves…rooftops. Probably all correct depending on one’s culture or dictionary source. Thanks for sharing two great links, too. I love this! I would probably say rooftops, but definitely hooves. I have recently discovered that we longer say cacti or octopi either but rather cactuses and octopuses. Language is constantly changing. I am an American, married to a Brit, teaching English in Spain (to secondary school students from all over Europe, including the UK) so these things come up all the time! You’re quite right, Melissa. I’ve seen examples of Old English language written around the time of Shakespeare and it’s difficult to follow. The first writing award I won was for an essay titled “Notes from a rooftop in Andalucia”. Like you, I love to photograph those ROOVES! Congrats on winning the FB contest! What a lovely story, Patricia. I’m so glad you shared that …. wonderful! Another ROOVES person – yaay! Just gorgeous! Love the orange!!! I think I’ve a couple of contenders for this 😉 Good idea Marianne. I KNEW rooves was a word! Then recently when I wrote it (as in this comment), it comes up with a red squiggly line! What next, indeed! The plural of hoof is still hooves, right?! Beautiful photos! I say the plural of hoof is hooves – just call me old-fashioned – I don’t care! Thanks for hopping over to us Marianne! We are excited to participate. I have rooftops from Portugal, Spain, and as of this week Morocco, so it will be tough to choose. Great captures of these beautiful rooftops! Great photos and congrats on winning the FB competition! Fantastic! It’s funny you should say that, Pat – I’ve had someone say that to me in southern Spain!! Back in Spain on Monday. Could you turn the heating on for me…? Plus, I found out yesterday that I won the FB photo competition!! Yaay! a wonderful idea Marianne … I already know where my best rooftops photos can be found … but I hope to get more when in Andalusia in May! Haha in a recent short story assignment a friend proof read and corrected my use of roofs to rooves. My tutor highlighted rooves as a spelling mistake but she didn’t say what was the correct word! Anyway I love your red rooftops and blanca walls. It’s obviously ambiguous! Like hoof, hooves and hoofs! You even make the view of rooves look fantastic Marianne. Beautiful pictures. Thanks David. I see you are a “rooves” man too, huh? Hola chica! We are a similar age, so it’s ROOVES all the way for me! But I agree, I see it writen as ROOFS more and more nowadays, at least in casual writing. Now you’ve prompted me to look out for it in magazines and books!